On the surface, selling your home in the Upper Valley may seem like a pretty easy process. You list your home, an interested buyer pays your asking price and signs the contract, and you hand over the keys, right? In all reality, it’s a much more complex procedure than that. When you’re looking to sell your home and move on to another chapter of your life, you need to make sure your home is priced properly, you’ve received all the necessary inspections and paperwork, you’ve boosted your curb appeal, you’re tuned in to market trends, and much more to ensure that this chapter closes out smoothly. Where can you turn to for help to ensure you’ve taken care of every item on your checklist smoothly and thoroughly? The answer to that lies in the assistance of a professional. As experienced VT real estate brokers, we can help you learn about everything you need to succeed in this competitive real estate market, from the main details to the fine print. With over 30 years of experience listing homes and selling properties in Vermont and the Upper Valley (including New Hampshire), we have the tools and expertise you need to sell your home for maximum market pricing. Whether this is your first time listing a home or you’re somewhat of a veteran, we can give you the edge to make your home sale a success. It may come as no surprise that one of the crucial elements of a successful home sale in the Upper Valley is thorough and aggressive advertising and marketing. We’ve had experience with the MLS since the days when it was a black-and-white booklet and have made it our mission to take advantage of all the new listing technologies that have opened up to us in this digital era. Advertising on MSN, AOL, and Yahoo, as well as taking advantage of Realtor, Zillow and Trulia listings and many others, we make sure your property is shown to those who will be most interested, providing you with the views you need and the buyer you’ve always wanted. That only happens through an aggressive syndication process via ListHub and other distribution channels we subscribe to. Furthermore, we understand that each home and seller is unique and requires a distinctive approach. We offer each seller personalized services, developing a real estate package that suits their individual needs and generates the results they want. 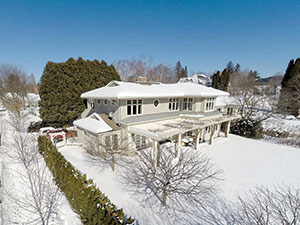 Whether you’re selling a mansion in Woodstock and Hanover or a bungalow in Hartland, together we will establish a plan that leaves both you and your future buyer happy with the process from start to finish. As one of the region’s premier real estate offices, we have intimate knowledge of VT and the Upper Valley unlike what any other agents can offer. An innovator in the industry and an excellent listener, we are committed to combining customer service and effective tactics for the success of each unique client. We have guided hundreds of sellers to the closing table and listed some of the Upper Valley’s most beautiful and desirable properties, from high-end luxury homes to quaint single-family dwellings. Gain real estate success with the assistance of an experienced VT real estate agent. Call Bassette Real Estate Group today at (802) 457-2244 to get started on the selling process, or to see some of the great properties we have to offer.